My writing includes poetry, translation, historical fiction for children, retellings of traditional tale, picture books, radio drama, libretti and anthologies. These reviews give a flavour of what critics have written about them. 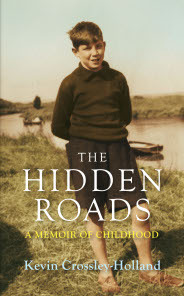 ‘A lovely, poignant book, not wasting a word and evoking place in a deep way’ Archbishop Rowan Williams on The Hidden Roads: A Memoir of Childhood. ‘This is a spectacular book … it is part social history, part mystery and part haunting love story … A quiet, heart-soaring triumph.